haydryers.com - modular, polyvalent, durable, green haydrying projects! Follow us! CHEESE IN VERMONT AT CHEESEMAKERS JASPER HILL FARM - Satisfied Customers are AgriCompact Technologies´ Calling Card! Also in North America! 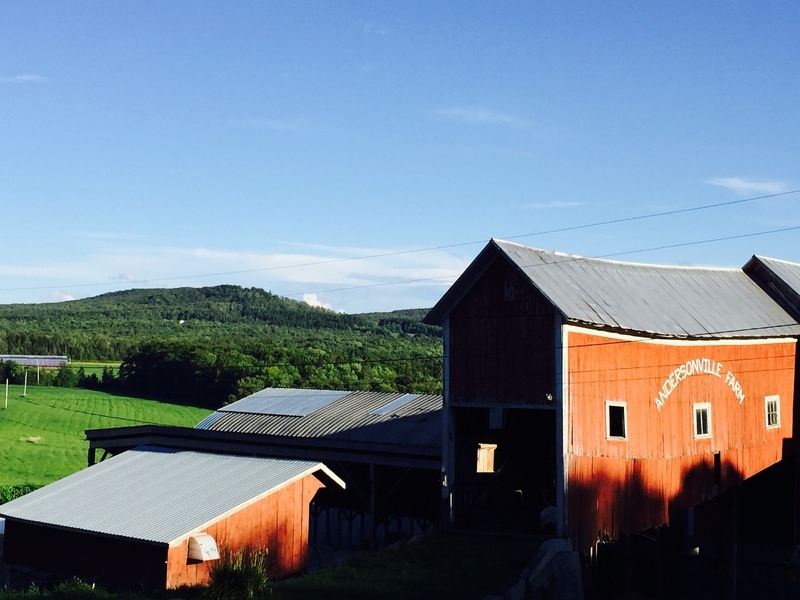 CHEESE IN VERMONT - LONG LIVE CHEESE! AFTER THE EXTRAORDINARY SUCCESS OF IMPLEMENTING THEIR FIRST HAY DRYER COMPACT IN 2015, CHEESEMAKER JASPER HILL FARM WILL OPERATE THEIR S E C O N D HAY DRYER COMPACT IN THE HAYING SEASON 2018! "The microbial ecology of raw milk is the sum of the practices on a farm... Dry Hay is our not-so-secret ingredient and our commitment to deliciousness and food safety.... Its September and summer is finally here (record breaking heat wave happening in the NEK) and we are still haying...but this summer has been wet!! and cold and we couldn't have fed our cows this year without a Hay Dryer." Read the article! AgriCompact is featured in Culture Magazine: The Word on Cheese! 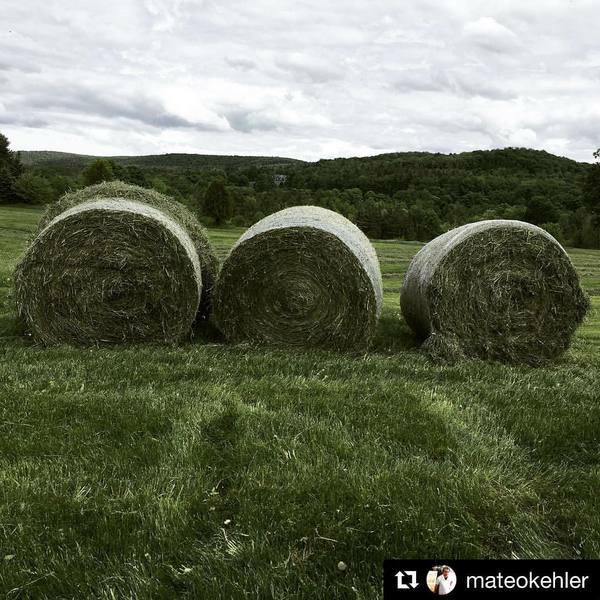 JUNE 2017 - Two Years of Premium Quality Dry Hay at Jasper Hill Farm´s in Vermont, USA! This is the number in 2016 of #dryhay round #haybales - to be found at the "Randi Albert Calderwood Cropping Center", East Craftsbury -, that the great staff of #artisan #award-winning raw #milk cheesemaker Jasper Hill Farm, Greensboro, Northeast Kingdom of #Vermont with partner Andersonville Farm, West Glover, produced with the unique state-of-the-art #technology Hay Dryers Compact which was installed on the said site at the beginning of June 2015.
with the people we love! #AgriCompact #haydryers stand for #healthy #feed and #food choices and therefore provides the #groundstone for their clients which empowers them to improve the health and well-being of their animals, the people as well as securing their working landscape in their communities and for generations to come. As a result, our calling card are satisfied customers! AgriCompact Technologies GmbH proves to understand the values of integrity and ethics celebrating the principles of respect for the #environment , #stewardship of the #land , #leadership, #teamwork , #sustainability , #durability , #innovation and #technology together with their clients. Two Years of Premium Quality Dry Hay At Jasper Hill Farm´s, Vermont, USA! Our baskets are full... of bright green dry hay! Thanks to our Randi Albert Calderwood Cropping Center we are able to harvest our local pasture grasses and preserve them for feeding our cows all year round. This innovative technology and the hard work of our cropping team means that we can make our own high-quality feed in a way that enhances raw milk quality and elevates our taste of place." "Our solar powered Hay Dryer Project allows us to dry the hay when it is at its peak for nutritional density, and we can then store it for the colder months. Using the Hay Dryer, we can remove the amount of water that days of sunshine would take in about six hours and preserves the nutrients, aroma and color of the hay. As Andy Kehler says, "It's an investment in quality, we're basically trying to manage microbial communities, and dry hay promotes a very distinct microbial community as compared to fermented feeds." "All the dry weather this summer is stunting hay growth in some areas, but Judy Simpson found a new facility that's helping produce hay no matter the weather. Jasper Hill Farm in Greensboro produces international award winning cheeses. In 2014 founders Andy and Mateo Kehler purchased Andersonville Farm, right up the road, to increase milk production. There is a total of 500 animals. It all comes down to the cows. To get the best quality milk to make the award winning cheeses, what the cows are fed matters a lot. Kelher says the key is dry hay. "Dry hay has a fundamentally different microbiology than fermented feeds like silage, corn silage, haylage -- the microbial ecology of raw milk really is a sum of the practices on a farm and that microbiology really forms the quality of a cheese," he said. To make sure there is a constant supply of dry hay, the Kehlers spent almost a million dollars to build a 6-thousand square foot, state-of-the-art hay dryer. "We purchased this technology which is the first of its kind in the U.S. from the Reggio Emilia region of Italy, where Parmigiano Reggiano is produced," Kelher said. It is powered by a 150 Kilowatt rooftop solar array, which can produce 100 bales of dry hay in 36 to 48 hours of sunshine versus the 4 to 5 days it usually takes to dry the hay in the fields. "We have been able this summer to harvest as soon as 48 hours of mowing," said James Coe, who manages Andersonville Farm and the hay dryer. Bales are loaded in with about 20 to 30 percent moisture content. They are placed on holes in the flooring. "We load the facility with 50 bales on each side. We close the doors -- it is a well insulated building -- and then we hit "on" to our hay dryer. We estimate the amount of time we believe it will take to fully dry it. We stand back and let it do it's work and we go back to the field and continue,"Coe said. 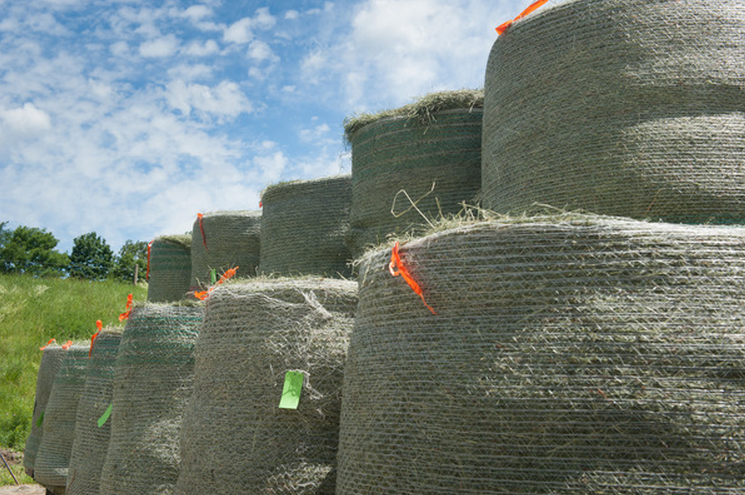 It takes anywhere from 8 to 16 hours to dry the bales to zero-percent moisture. Kehler says this year they will produce about 7,500 bales, which is more than enough to feed the cows for the year. "There is nothing worse than being at the mercy of the market in a season where production has been terrible, and you don't know what you are going to be feeding your cows heading into winter -- that is quite stressful and that stress for us is over," Kehler said. Kehler sees this facility as part of an infrastructure to support the dairy operations producing milk that are going into cheeses aged at Cellar at Jasper Hill Farm. He calls it an investment in quality." Click to read the whole article: "Behind every wedge of great raw milk cheese there´s a bale of dry hay"
"Eureka Cropping Center is a great example of how innovative technology can be employed to support Vermont's working landscape." "James Coe, our resident farming architect, worked with AgriCompact Technologies to design the first hay dryer to operate in the United States." "We can now remove the amount of water that days of sunshine would take in about six hours. 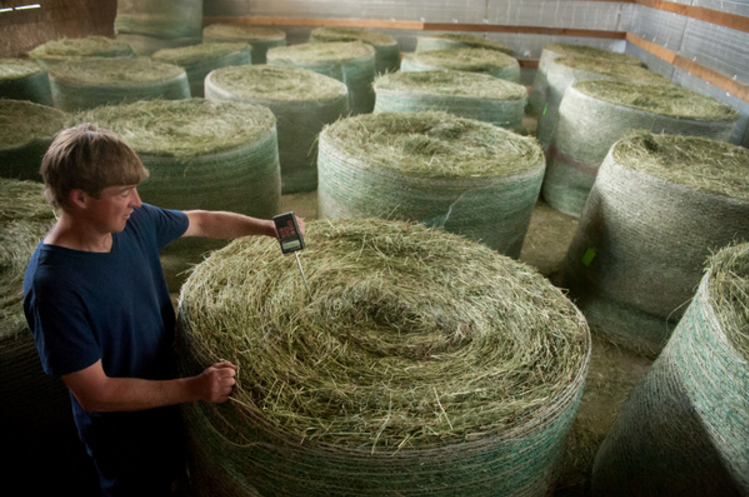 This quick drying method preserves the aroma, color and nutrients of the hay. The cows find it more delicious and we can reduce their grain ration due to the boost in nutrition, as well as further localizing their feed sources." "Grass-fed milk. GMO grain. Silage. Dry Hay. These are terms about animal feed many cheese lovers have heard... but what do they really meann for cheese, animal welfare and the environment? On this episode of Cutting the Curd, host Greg Blais talks with Jasper Hill Farm's Mateo Kehler about what they feed their cows throughout the year and the investments the´ve made in ensuring the health of their animals and the environment." We rock your Hay World! TOP HAY = TOP COWS! Happy Livestock = Happy Farmers! 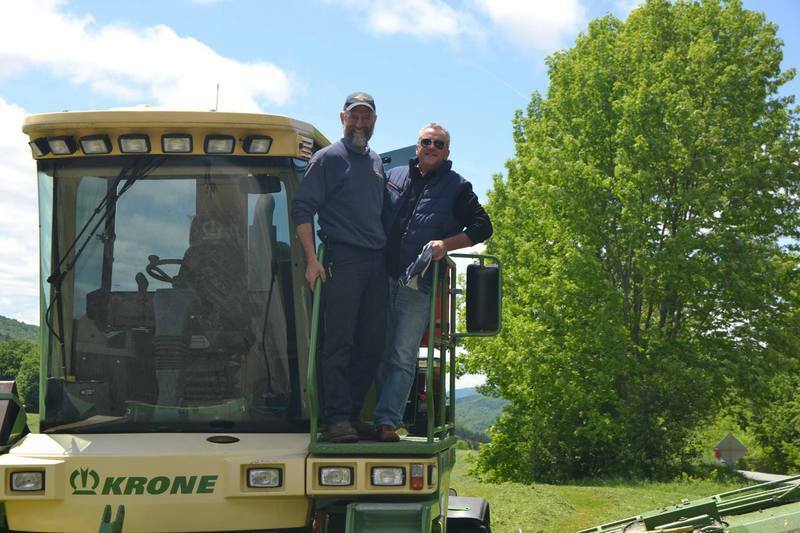 CHEESE IN VERMONT - HAY DRYERS COMPACT - "...Thanks to @haydryerscompact for this awesome piece of equipment that will support grass-based dairying in our region for generations to come!" CHEESE IN VERMONT - HAY DRYERS COMPACT - James Coe, Project Manager, new hay drying facility, Jasper Hill Farm: "...The equipment is impressive and the quality of craftsmanship and engineering are apparent. It is Very Nice! Thank you!..." May 2015: Our Hay Dryer, COMPACT has arrived in Vermont, U.S. ! Photo by James Coe, Project Manager, Jasper Hill Farm, Vermont, U.S. CHEESE IN VERMONT - HAY DRYERS COMPACT - Mateo Kehler: "Ground is broken! - On Jasper Hill´s new hay drying facility... A whole new kind of green." Pubblicazione di Hay Dryers Compact. CHEESE IN VERMONT: JASPER HILL FARM, Vermont, Greensboro, Mateo Kehler: "BUYING MILK MEANS BUYING PROBLEMS!" Folge haydryers COMPACTs Pinnwand „haydryers COMPACT & ARTISAN CHEESEMAKERS“ auf Pinterest.